Laughing Squid is organizing a Drinkup with Justin.tv tomorrow night (Sunday, March 25th) at Zeitgeist in San Francisco starting at 7pm. 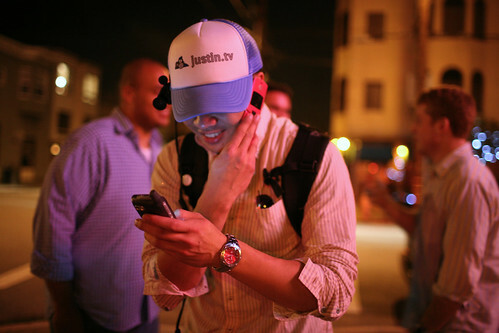 Come out and have some beers with Justin Kan and the crew from Justin.tv. If you can’t make it, just tune in and watch the live online stream. Zeitgeist has a large outdoor patio and great selection of beer. Of course, this is San Francisco, so it will probably be cold out back, so dress warm. Laughing Squid will buy a couple of pitchers to start things off and we might try another experiment with Spontaneous Microsponsorships. Feel free to spread the word via Twitter, Upcoming.org and all of the usual channels.